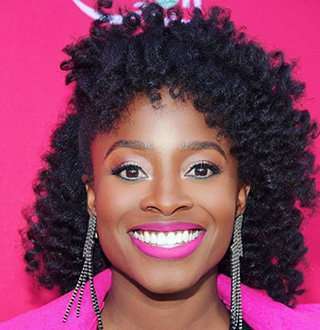 Idara Victor is a stage, television and film actress best known for her lead roles in Rizzoli & Isles, Turn: Washington's Spies, and, Alita: Battle Angel. Some other movies where she appeared are Mad Men, Vegas, Castle, Pure Genius, SAfe Heaven, Law & Order, to name some. She first started her acting career by appearing in the film, Not Just Yet. She got her first television role in the TV series, Starved. As she started getting noticed by the people from the entertainment industry, she moved to Los Angeles, where she appeared in significant roles in hit television series including Private Practice, and Grey’s Anatomy. Some of the TV shows Idara has worked on are The Brave (2018) where she played the character of Elena Bernal, and Unsolved (2018). Idara celebrates her birthday on every 7th of December. She was born in Brooklyn, New York City, New York, the USA to the caseworker mother, Barbara and writer/accountant father, Stan Victor. Both of her parents are from southern Nigeria so she possesses Nigerian ethnicity. From the early age of eight, she started dancing and playing the piano, and her parents were very supportive of her interest in the field of art. Later on, at the age of thirteen, she won the Miss New York Junior Teen contest and decided to test her fate in the field of acting. Although she was approached by a modeling agent to become a model, she took a firm decision to only focus on her acting career, and since then she has not looked back. Talking about her academic achievements, Idara, with a height of 5 feet and 4 inches, took the undergrad program of the Wharton School of Business at the University of Pennsylvania where she studied entrepreneurial management and marketing. Idara Victor's Boyfriend One Of Her Castmates? Idara has always kept her fans confused in case of her love life. From mentioning her 'mysterious boyfriend' over the years to mentioning her castmates as her crushes in her tweets Idara has been successful enough to make her fans struggle thinking about her lovelife. If you guys are not aware of the tweets we are talking about then have a look below. Confusing, isn't it? if that's not enough, there is something more to add on to your struggles. Back on December 2017, she shared via Twitter that she had crushes over her castmates Amirah Vann, Josh Duhamel & Bokeem Woodbine at various point of time. Ok!!! where is this thing going? Does this mean the mysterious boyfriend we were talking about is actually her castmates? Only Idara has the answer to it.